The New York Mets lost 11-4 to the St. Louis Cardinals in the first game in the history of their franchise a half-century ago on April 11, 1962. The National League expanded by two teams in 1962 adding the Mets and the Houston Colt .45s. The 1962 Mets are the Bizarro World counterparts of the 1927 New York Yankees. Commentators invoke the ’62 Mets when a team is going through a horrendous stretch. The inaugural version of the Mets won only 40 games and lost 120. I suppose it could have been worse; they could have made up the two rainouts. Roger Craig was the starting pitcher for the Mets on Opening Day 1962 at Busch Stadium I in St. Louis and he took the first loss in franchise history. Gene Oliver was the first strikeout victim of the Mets’ pitching staff. Right fielder Gus Bell got the first hit in Mets’ history, a single in the second inning. 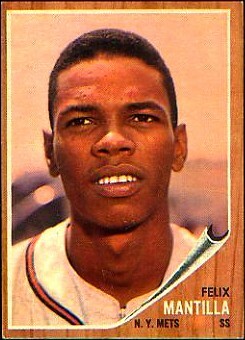 Shortstop Felix Mantilla scored their first run in the third inning; Frank Thomas drove him in with a sacrifice fly for the team’s first run batted in. In the fourth inning, Gil Hodges hit the team’s first home run. Mantilla got the first double in the seventh inning. The Mets did not attempt to steal a base until their fifth game; third baseman Don Zimmer was caught trying to steal home. After nine losses, the Mets finally won a game on April 23. Jay Hook was the first pitcher to earn a win in the 9-1 victory over the Pittsburgh Pirates at Forbes Field. Center fielder Richie Ashburn stole the Mets’ first base in their 12th game. Second baseman Charlie Neal had the team’s first triple in their 13th game. The Mets finally won a home game on April 28, an 8-6 victory over the Philadelphia Phillies. The 1962 Mets were a better home team; they won 22 games at the Polo Grounds and just 18 on the road. 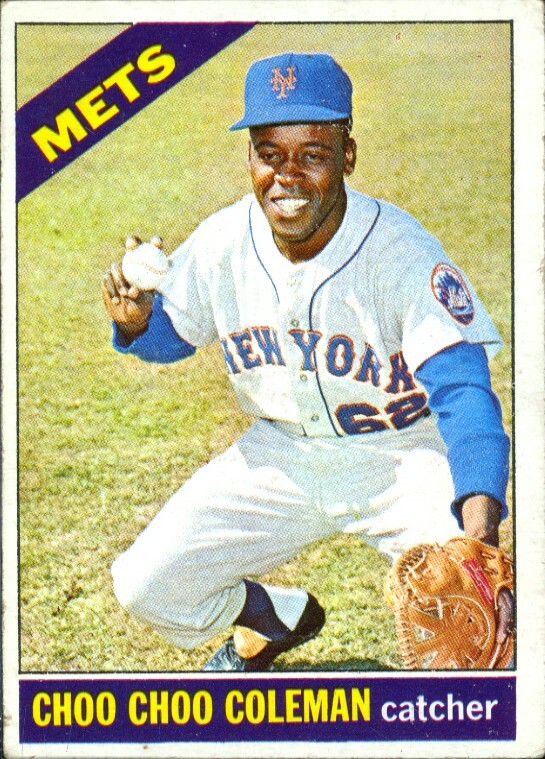 The 1962 Mets were known by some of their characters. “The Old Professor,” Casey Stengel, was their manager. “Marvelous “Marv” Throneberry was their regular first baseman. A couple of their players had decent seasons. Left fielder Frank Thomas hit 34 home runs and drove in 94. Mantilla led the team with a .275 average and hit 11 homers. While Throneberry’s fielding was much maligned, he did hit 16 home runs. Ashburn hit .306 in limited action (he did not have enough at-bats to qualify for the batting title, so Mantilla officially led the team in hitting). Willie Mays joined the Mets in 1972 and spent his last two seasons in the city where he started his career. He made it back to the World Series in 1973 but the Mets lost in seven games to the Oakland Athletics. Mays hit the last 14 of his 660 home runs with the Mets. The Mets won it all again in 1986 after getting some help from Bill Buckner of the Boston Red Sox in Game Six. They lost the NLCS in seven games to the Los Angeles Dodgers in 1988. The Mets were back in the postseason in 1998, but lost the NLCS in six games to the Braves. They lost the Subway Series to the Yankees in 2000 in five. The Mets last appearance in the postseason was in 2006 when they lost the NLCS in six games to the Cardinals. The Mets have had some great pitchers over the years. Tom Seaver and Jerry Koosman anchored the staff of the Miracle Mets. Seaver won the Cy Young Award in 1969, 1973, and 1975; Dwight Gooden won the Cy Young in 1985. Despite all the great pitchers, no Met has ever pitched a no-hitter. No Met has ever won the National League Most Valuable Player Award and it took 50 seasons for a Met to win a batting title; Jose Reyes led the NL last year with a .337 average. The Mets made some good trades in the late ‘60s. 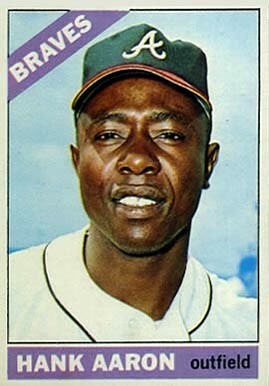 They traded Jim Hickman and Ron Hunt to the Dodgers for Tommy Davis and Derrell Griffin after the 1966 season. Even though Davis hit .302 with 16 home runs and 73 RBIs in 1967, they traded him to the Chicago White Sox after only one season. It turned out to be a great deal as the Mets got Tommie Agee and Al Weiss in return and they were two of the main players in the Mets’ win over the Orioles in the 1969 World Series. On June 15, 1969 the Mets traded Bill Carden, Kevin Collins, and Steve Renko to the Montreal Expos for first baseman Donn Clendenon. Clendenon was hitting .240 with four home runs and 14 RBIs at the time of the deal, but he ended up as the World Series MVP. The Mets have also made their share of bad deals. They traded Nolan Ryan to the California Angels for Jim Fregosi. If they had not made that deal, they surely would have a few no-hitters to their credit. The Mets also traded Tom Seaver to the Cincinnati Reds in 1977. He came back to the Mets in 1983, but stayed only one seasons and went 9-14. The Mets will always hold a special place in my heart because they were in the first major league game I watched on television. When the Braves moved to Atlanta from Milwaukee in 1966, WSM-AM radio broadcast their games and occasionally there would be a game on WSM television. I can trace the origin of my love of baseball to April 17, 1966. That was the day I saw my first game on television. I am able to pin down the exact date because of a specific play. It was not a historic home run, but a rather insignificant stolen base that allows me to be certain of the date. I had not yet turned eight in April of 1966. I was at my grandmother’s house and there was a baseball game on the television. I glanced up at the screen just as a Braves’ player took off for second base on an attempted steal. The throw from the catcher sailed into center field and the base runner popped up out of his slide and dashed over to third base. The camera stayed on the base runner and a graphic went up on the screen identifying the player as “Henry Aaron.” I’ve been a Braves fan ever since and Henry Aaron became my favorite player. Through the magic of the Internet I was able to determine the exact date of that game. Armed with my memory of Aaron’s stolen base, I went to retrosheet.org, a fantastic website for fans interested in baseball history. Retrosheet has box scores from every game dating back into the early part of the 20th century. They also have detailed inning-by-inning accounts of many of those games. I accessed the Braves’ games from 1966 and beginning with the first game of the season searched for games in which Aaron stole a base. When I found a box score that indicated that Aaron had stolen a base, I checked the inning-by-inning descriptions and looked for an overthrow by the catcher that allowed Aaron to advance to third base. In the game played on April 17 in New York against the Mets, Aaron stole his second base of the season. The account of the eighth inning of that game states, “Aaron stole second (Aaron to third (error by Coleman)).” Coleman was the Mets’ catcher. I figured this could be the game since it was so early in the season and I remember following the Braves for virtually the entire year. I continued to examine the box scores for each game, looking for stolen bases by Aaron while also checking for errors by the catchers. Aaron stole 21 bases in 1966, but my search determined that he advanced to third on a bad throw by the catcher only once. Retrosheet did not have the inning-by-inning account of the game played on May 29 against the Chicago Cubs in which Aaron stole his sixth base of the season. However, there were no errors charged to Cubs’ catcher Randy Hundley, so it stands to reason that if Hundley attempted to catch Aaron on the steal attempt, the throw didn’t go into the outfield. Therefore, I am completely satisfied that the game of April 17, 1966 is the first baseball game I ever watched. The Braves lost that game to the Mets by a score of 5-4 when Billy O’Dell walked Ron Swoboda with the bases loaded in the bottom of the ninth. 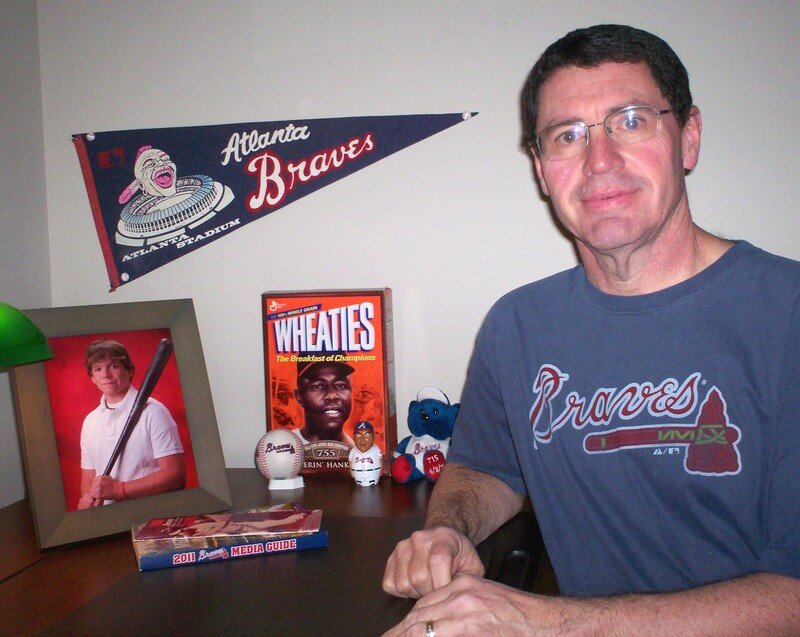 The Braves’ record fell to 1-4 with the loss, but after I started following them, they won their next six games and eight out of their next nine–I was hooked for life. The Mets have had a rich history in their first 50 years and they have a prominent place in my history as a baseball fan. Love that story… you maybe should have been a detective..
Its such as you read my thoughts! You seem to understand so much approximately this, such as you wrote the e-book in it or something. I feel that you just can do with some p.c. to power the message home a bit, but instead of that, this is great blog. A fantastic read. I will certainly be back.